Attached is a map with a green dot showing the location of the proposed propane facility. The blue lines show the aquifer boundary and the purple shaded area is the floodplain. The Return of Thirty Days. Background: Despite a moratorium on high-volume hydraulic fracturing, the New York Department of Conservation (DEC) is quickly and quietly trying to adopt new rules for Liquefied Natural Gas (LNG) facilities that would pave the way for fracking, threaten communities, and make us more dependent on fossil fuel. We must fight this new threat! 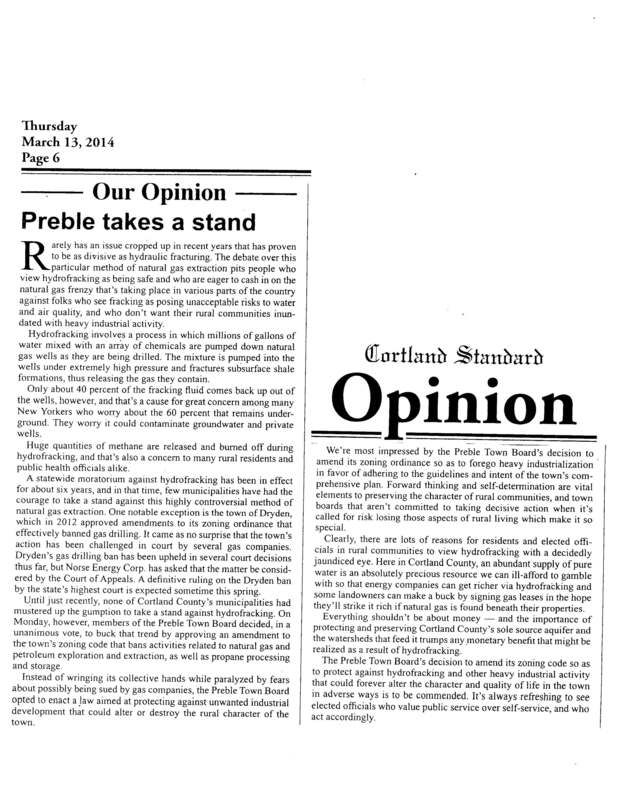 Keith Schue and Sandra Steingraber have scrutinized the regulations. They will present their analyses of the weaknesses and provide fodder for your comments to DEC. Furthermore, the companies don’t have to post bonds to cover the costs of accidents to the environment, people, or property, or to close the facilities when they are no longer of use. This leaves the taxpayers to foot the bill. The NYS DEC is considering regulations and permits for proposed Liquefied Natural Gas (LNG) facilities in New York State. This is just one example of a massive fracking infrastructure build out in the state. 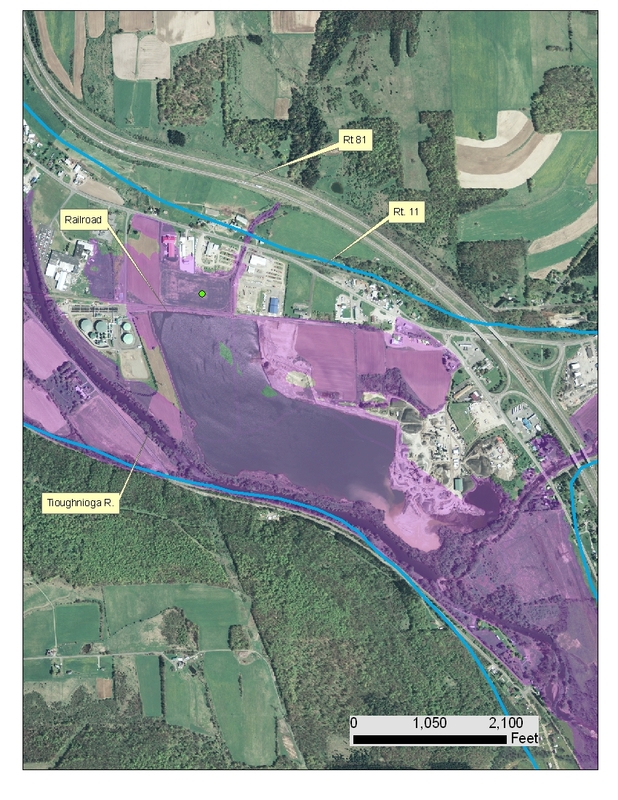 Nat Gas pipelines, compressor stations, wastewater treatment, powerplant conversions, the LPG storage facility in Seneca Lake and now LNG export facilities are in the works and are all a part of the attempt to bring fracking into the state. Speaking at the press conference were Renee Vogelsang of Frack Action; Keith Schue (5:18), a former engineer with experience in policy and regulatory review; Mary Menapace (13:11), a nurse at Upstate Medical; active with ShaleShockCNY; Dr. Sandra Steingraber (16:20), internationally acclaimed author, biologist, and distinguished school in residence at Ithaca College; Joe Heath (22:01), General Counsel for the Onondaga Nation, affiliated with many grassroots organizations in the region including Stop the I-81 Pipeline. There has been a de facto moratorium on LNG facilities since a catastrophic LNG blast on Staten Island over 40 years ago that killed 37 workers. Construction of new LNG facilities was expressly prohibited statewide by law after that explosion, but except in New York City, where a moratorium remains in effect until 2015, the legislative prohibition on LNG facilities ended in 1999. However, a “de facto” statewide ban still exists because DEC has not yet established a permitting program. DEC’s rule making must be in accord with New York Environmental Conservation Law ECL Article 23 Title 17 for Liquified Natural and Petroleum Gas. DEC’s proposed rules are woefully inadequate and fail to address what is mandated for rule making. For details of these severe short comings, see New York LNG regulations on SourceWatch.org. To learn and respond with pubic comments on DEC’s LNG rules, as well as the related FERC (federal) review on Natural Gas Storage), and the Post Ambrose Liquified Natural Gas (LNG) port near the entrance to New York Harbor, check out “The Return of 30 Days: The Infrastructure Regs” thirtydaysoffrackingregs.com. Public Meetings: NYS DEC will conduct public information meetings to present the proposed regulations and respond to questions prior to the public hearing- 10/30 at DEC HQ in Albany. 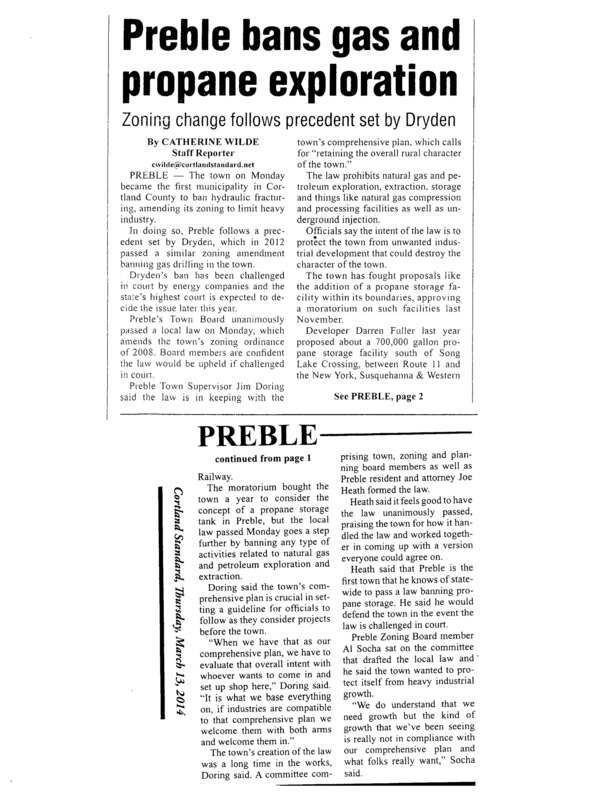 Marcellus Watch: Known risks in LPG caverns hidden from public – News – The Leader – Corning, NY.